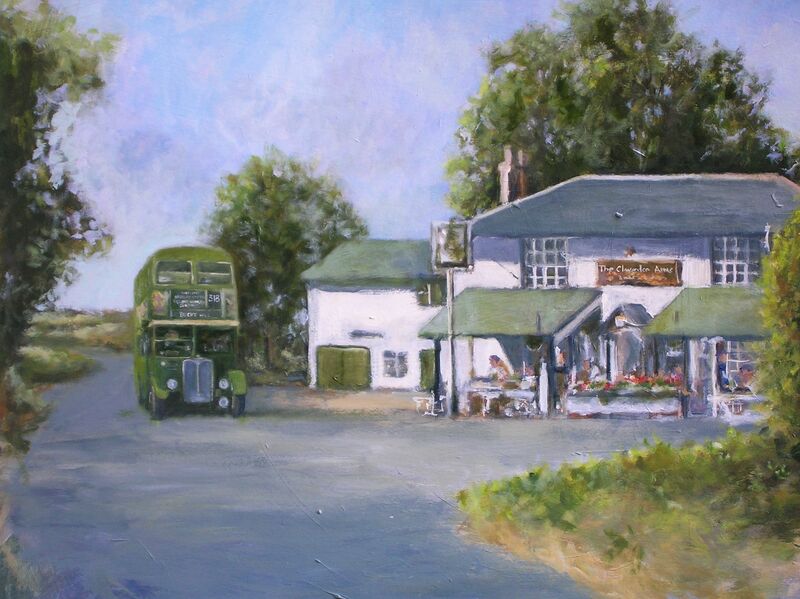 This is a photo of a painting I did a few years ago of how I remember the 318 bus passing the Clarendon Arms at Chandlers Cross on its way to Bucks Hill in the early 1960s. Click here to go to a video on YouTube I did back in 1988…….There are other videos of Croxley Green etc on my page. This page was added on 30/01/2013. What a lovely scene, I remember it well. I would like to buy a copy of this painting if possible. Please advise!